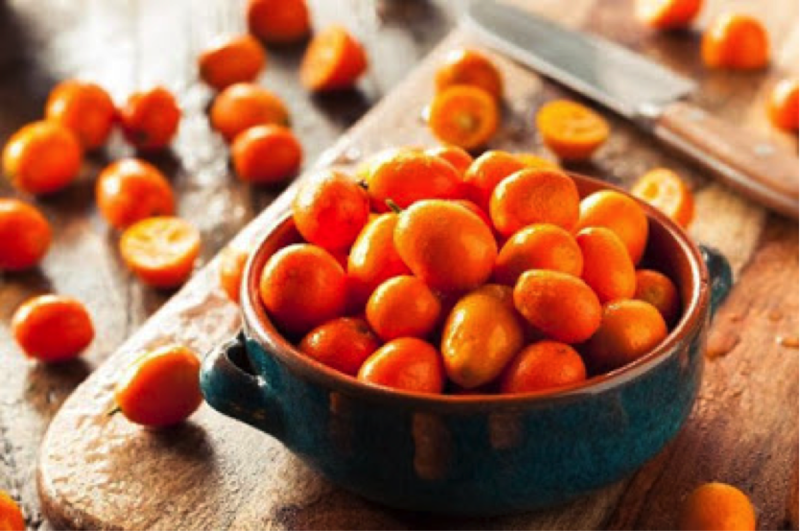 1.Give kumquats a clean removing any leaves or sticks still attached at the top of the kumquats. 2.Prick a couple of holes in the sides of each kumquat using a toothpick. 3.Place Kumquats in a small pot and cover with boiling water, enough to cover the kumquats. 4.Bring the water to a boil over a medium heat and simmer for 10 minutes. 5.Drain the water off the kumquats and repeat step 4 two more times. (Add boiling water and simmer for 10 minutes). 1.Place 1 cup of sugar in a pot and add ½ cup of boiling water. 2.Heat the pot for 10 minutes stirring occasionally and be careful to not burn the sugar. Cook until the sugar mixture has thickened. 3.Add the kumquats to the thickened mixture. 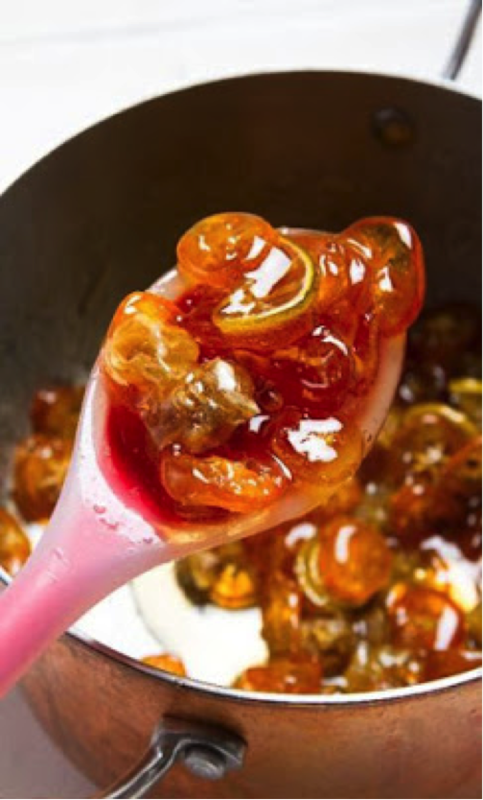 4.Keep mixture on a low heat for another 15 minutes or until the kumquats are translucent. 5.Squeeze the juice from half of fresh lime into the pot and stir until combined. 6.Leave the mixture on low heat for another minutes or two. 7.Turn the heat off and leave the mixture to cool. This jam is great for a morning toast or use this on the side of a cheese platter instead of a fig jam for something different to wow your friends with.